"Teen wins California Lottery twice in one week!" Rosa Domingues, 19, bought a $5 Power 5's scratch-off ticket at Eagle Energy, a gas station in Paso Robles while driving home to California from Arizona and won the top prize of $555,555! Then she tried her luck again by purchasing a $5 Lucky Fortune scratcher from a Valero gas station in Monterey County, and won $100,000!... for a grand total of $655,555 for two wins in one week! "Alarm clock stuck in a wall goes off every night for 13 years." Jerry Lynn, a Pennsylvania homeowner, back in 2004 tied an alarm clock to a piece of string and lowered it down a second-floor air vent hoping the alarm's sound, set to go off in ten minutes at 7:50 PM, would help him locate the right spot to drill a hole for his TV cable. But the clock slipped off the string and became lodged inside the wall. Lynn described the alarm's beeping sound as starting off slowly then growing louder and louder lasting for about a minute. "You can hear it from any room on the first floor but it doesn't bother us. I thought maybe in three or four months it would run out of battery, but it's still going off every day." What are the odds of a battery still working after 13 years, or winning the lottery, not once, but twice in one week??? Don't ask me... I can't do simple math, let alone theoretical probability. I can however tell a story. Here's another 'odd' one... the last, for now, in the series of Summer Shorts: Odd Awakenings. An Odd Awakening: More Odd Than Even. I'm up... sort of. My eyes go from shut to halfway open and immediately I look at the clock. Time will tell if I get up or roll over and go back to sleep. It's 8:31 AM, Sunday... a good time to get up. Then it dawns on me... that for the past few mornings, I've been waking up to a time ending in odd minutes. 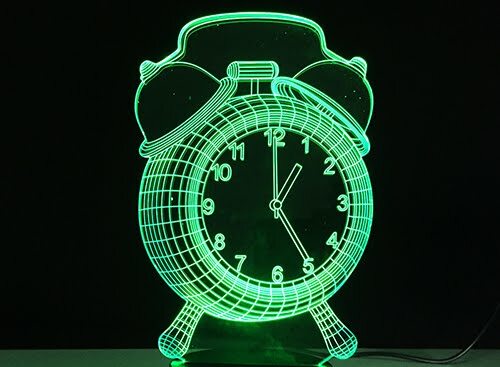 Curious, I decide to record my future waking times... the exact time when my eyes first focus on my alarm clock, a battery-operated atomic clock that when pressed, lights up to a lovely shade of blue and digitally displays the hour, minutes, and day of the week. 7:37 AM Monday... too early, more sleep needed. 8:17 AM... a better time to get up. 7:19 AM Tuesday... decide to drift off again. 8:13 AM... up and at 'em. After 3 consecutive days of odd minute awakenings, I consider buying a few scratch-off lottery tickets. 7:11 AM Wednesday... Ooooo, lucky-sounding numbers, but still feel tired. 8:35 AM... now ready to start the day. 7:05 AM Thursday... guess I'm up. 7:15 AM Friday... another early start. 8:59 AM Saturday... Wow! a real 'lie in'... British for remaining in bed later than usual in the morning. Now, after a week, 7 straight days of waking to odd number minutes, I give gambling some serious thought... maybe a game of Dice where 7's and 11's will give me instant wins. 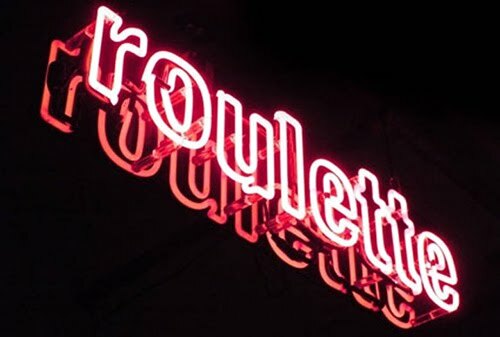 Or Roulette, French for little wheel, where I can bet on numbers high or low, odd or even, red or black, then eye the wheel as it spins one way while the ball moves in the opposite direction hoping they meet in the pocket of my choice. But I'm ahead of myself. 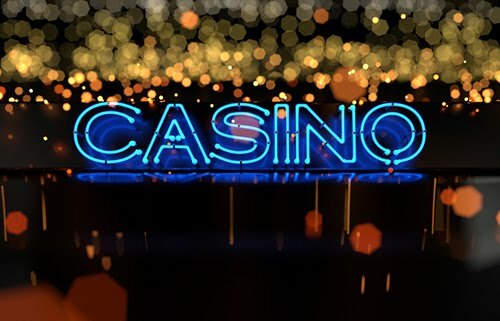 I'm not a risk taker and I've only been to a casino once... in Atlantic City, with my grandparents after they raved about the hotel's smorgasbord and casino's fun slot machines. 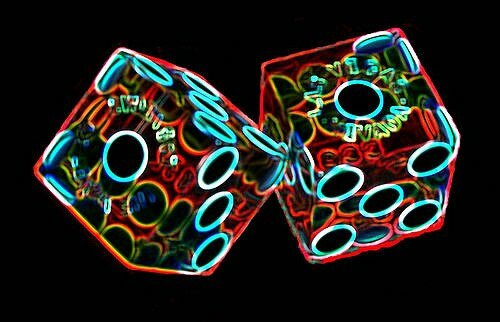 I don't remember the name of the hotel or casino, but I do recall L19, the number of the machine that ate my only roll of quarters ($10.00) in less that 30 odd minutes... not my idea of fun. 8:51 AM Sunday... another slow start to the day. 5:35 AM Monday... ugh, 'mind chatter' too many thoughts pop into my head. 6:43 AM... but I manage to catch a 'few' more zzzz's. 6:17 AM Tuesday... ugh... vivid dreams... I'm wide awake. 7:43 AM Wednesday... a better time than the last two mornings. Hard to believe this run of odd luck, but the numbers are true. FBI to confirm Trump Russia Collusion (Yes, No). The year Trump will be impeached (2017, 2018, 2019, 2020). What will he be impeached for (Treason, Perjury, Tax Evasion, Bribery)? Will Trump resign (Yes, No)? Will he build a wall between the US and Mexico in 2017? 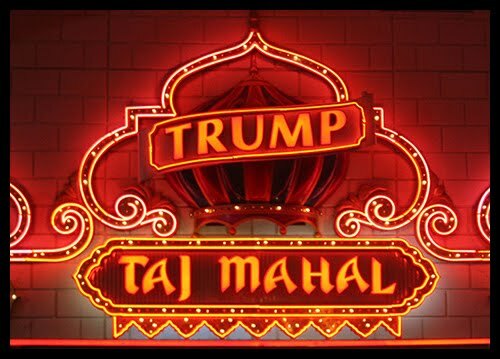 Or will he build a hotel in Mexico 2017? Trump to have a navy ship named after him. Trump to have a US military based named after him. Trump to have his likeness minted on US currency during his term. Trump to commission his own face to be added to Mount Rushmore. Trump to have the White House painted gold. And just like that, on Day 12, after thoughts of this President, my odd streak ends. 8:22 AM Thursday... even minutes, another day, and Trump is still in office. How did we, as a country, EVEN get ourselves into this ODD predicament? Ya win sum... ya lose sum... I suppose.